What I should tell you is this: Read African Titanics tomorrow, read it yesterday, but don’t read it today. After all, the relationship between the news and literary cycles is usually to the detriment of the latter. One wheel moves at hamster-on-coke speed, while the other spins slowly or quickly, but on an entirely different axis. For some literature, the two wheels gracefully miss each other, at least most of the time. Others are constantly locking gears. The relationship is particularly messy for Arabic literature in English translation, which is often crammed right onto the hamster wheel, where it’s published and read for its “daily news” interest rather than for its aesthetic joys, exciting plots, or formal innovations. This doesn’t just shift an individual reading or two, but the whole Arabic corpus in translation, and even the corpus itself, leading to a feedback loop where we believe that “news value” is all you get from Arabic literature—that it’s all aesthetically weak books we must scour for hidden anthropological gems. And because that’s what we’re looking for, that’s what gets published. Usually, the best we can do is stop looking at Arabic literature in that way. Usually, we have to tug Arabic literature out of the hamster wheel and see its complex, fifteen-hundred-year scope. And yet! There are days when we take our most cherished rules and chuck them out a window. Keep reading on Warscapes. 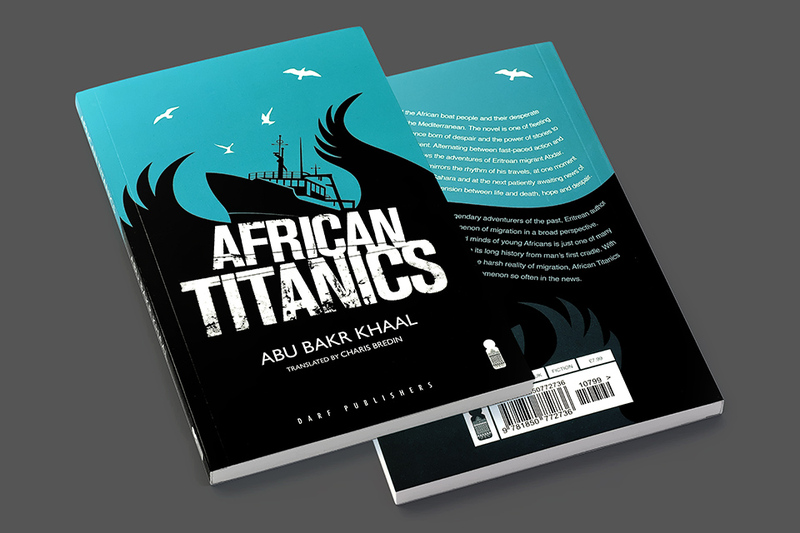 Indeed, ‘African Titanics’ can be consider as one of it’s kind in the filed of short fiction of today coming from the Horn of Africa, meanly Eritrea, the original country of the writer. In fact, it is even can be consider the first narration I cam about to reflect on the story of the new immigration’s series, resettle, and the relocate of many young Africans from their country across Africa toward Europe through the wretched and difficult road in the wide Sahara desert. As a person had the chance to read it in Arabic and then English, I would say both the writer and the tranlastoer contribute great artistic role in bring the best of the “Story of the new young African of today”. The subject is quite wide and has many dimension, what made this one especial, is that the write recalled the fact and the meth together a style fascinated me the most.